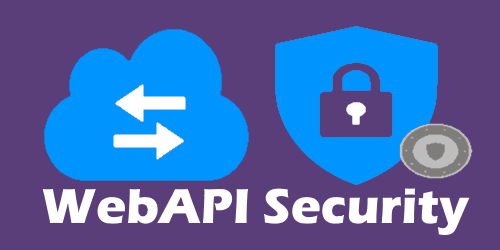 WebAPI Security, which is most widely popular and needed feature for every developer who is working on services for their client devices. You might have seen many topics on API security over the web but many of them misleading you the actual point where authenticating your users against custom database, issuing a token, authorizing the requests against the issued token and providing the way to generate the refresh token. This is exactly what we are going to walk through in simple steps without complicating the things. We are going to discuss on below points to fulfil our need on API security in ASP.NET MVC. The affected areas for your project are as shown below. You might not have the providers now, but you will be end up creating them while going through the topic. Microsoft OWIN provides the core features of security for your Web API, which includes the token generation and authorization. Before you start anything in API security, install the below packages using Package Manager Console or NuGet Package Manager from your Visual Studio in case if you don’t have them now. The above code snippet will execute upon start of the API project and which enables the bearer authentication to accept the tokens. Initialized the OAuth provider called ApplicationOAuthProvider and refresh token provider called ApplicationRefreshTokenProvider. We will talk about them more in coming section. Though we use the OWIN for token generation and authorization, but we are going to have user authentication against our custom database. Typically, you can have a standard method anywhere in your project to validate the user credentials. For demonstration purpose I am going to have a method with name AuthenticateUserAgainstDB under the Token generation section which describes below. For user authentication and generating the token, let us have a provider called ApplicationOAuthProvider which is the same provider told to OWIN in the above code. As shown in the above OWIN setup section, the validity of the token is about 30 mins and after that the token is no more valid. If you make any API calls with invalid token, you will end up with 401 Unauthorized error. To generate the refresh token, let us have another provider called ApplicationRefreshTokenProvider which is the same one we passed to OWIN setup. Generating the refresh token is also like the token generation, except grand type and passing refresh token string which is part of token generation response. The same token generation URL can be used to generate the refresh token. The methods which you don’t want to have anonymous access, just mark them with [Authorize] attribute. If you would like to protect all the methods in the controller, then mark the controller with [Authorize] attribute. That’s all now what you need for securing Web APIs. I hope it helps to you in a way you need. Thank you for coming here and reading the article. Please use the below comment box for any questions.